You are more likely to make poor food decisions when you are distracted or hungry. Looking up the menu in advanced allows you to find something that works for you and stick to it. Look for food that has been steamed, grilled, roasted or poached. In general, these cooking methods equate to less fat and therefore fewer calories. Sauces and dressings can contain a lot of excess fat and sugar, it is helpful to ask for them on the side and use them in moderation. Choose tomato based sauces over cream. Often we eat so quickly we don’t allow our bodies enough time to feel full so we end up over eating. 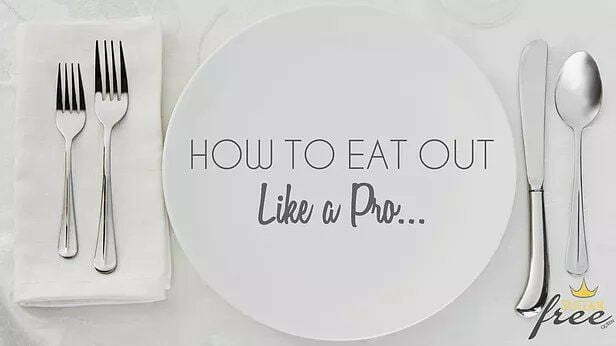 If you take the time to fully chew all your food or put down your utensils in between bites, this can help you slowdown. Restaurant portions are typically very large and when the food is in front of us it is hard to stop, even when were full. Sharing a meal is a good idea. Also asking for a small plate and eating off that instead of your main plate can help with portion control. Many times after a meal we still crave a little something sweet. Ordering an espresso or a cup of tea can help curb those cravings. Our brains commonly mistakes thirst for hunger, so often times we eat when really we are simply dehydrated. Having water before and during your meal can help you feel more full and hydrated helping you to avoid overeating.